Add one of these to your skincare routine for youthful, wide-awake eyes. 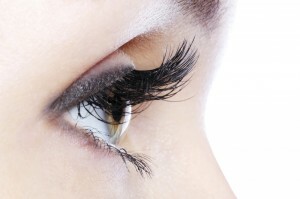 Consider this though; your eyes and eye area are often the first place signs of ageing appear. So even if you’re not worried about ageing and fine lines just yet, adding an eye cream to your routine is a great preventative. This eye gel from Benefit promises to soothe inflamed eyes with a cooling effect. On top of this it’s blurring effect helps to reduce the appearance of fine lines. We love the ‘iron’ applicator, it’s the perfect shape for the under eye area. Usually this brand specialises in skincare products for mature skin, but Elizabeth Arden has taken a step into the youth market with their Flawless Future range. This eye gel is therefore ideal for those in their 20s looking to delay the ageing process. Containing a subtle tint and brightening properties, this eye cream is perfect for anyone looking to hide their dark circles. Keep it on standby for late nights! Great for those on a budget, this eye cream is particularly gentle. This makes it ideal for sensitive or mature skin types. Containing caffeine extracts, this formula wakes up tired peepers. Use this when you want to look more awake than you feel! Sun damage can quickly lead to signs of ageing, especially around the eye area. This eye cream contains SPF25 so will help protect your skin from the sun’s rays, making it perfect for the upcoming summer season. Regular facials can help to keep your skin healthy and prevent signs of ageing. Find out more on our facials page.